It has been quite some time since we first wrote about Kevin Hamedani's short film project In Her Place. Back then it was under a different title, Prince Ali, but most notable of all was that Hamedani and his writer Max Borenstein had earned their chops in genre film and were now turning completely around for this short dramatic piece. Starring Sheila Vand (Argo, A Girl Walks Home At Night, Camino and the upcoming Whiskey Tango Foxtrot), the short film takes a close look at Persian culture. With themes of family, honor and tradition, perhaps it spoke a bit too truthfully about life in Iran as the authorities sought to confiscate the filmmakers' footage. But they made it out and the short has completed its festival run. You can watch the complete short below. 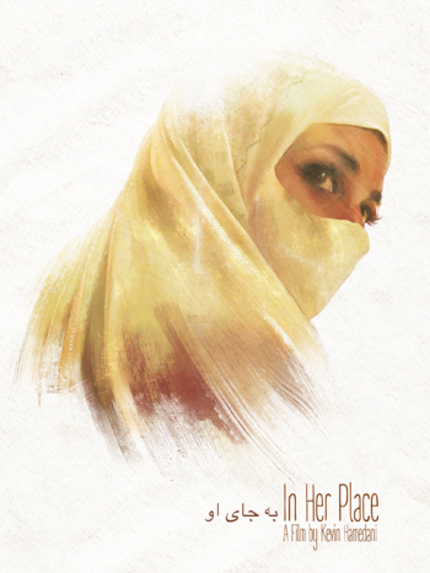 IN HER PLACE - FINAL from Kevin Hamedani on Vimeo. With Albert Shin's IN HER PLACE Has The Next Great Korean Drama Come From ... Canada? Watch The Theatrical Trailer Now!